The construction of 200m long platform tunnels for two new underground stations – this was the first Crossrail contract to use Sprayed Concrete Lining (SCL) techniques in close proximity to sensitive receptors. The requirement to design mitigation measures to control significant contributions of airborne noise, structure-borne noise, groundborne noise and vibration is considered unprecedented and was closely scrutinised by the Regulatory authorities due to the level of perceived risk at this site. 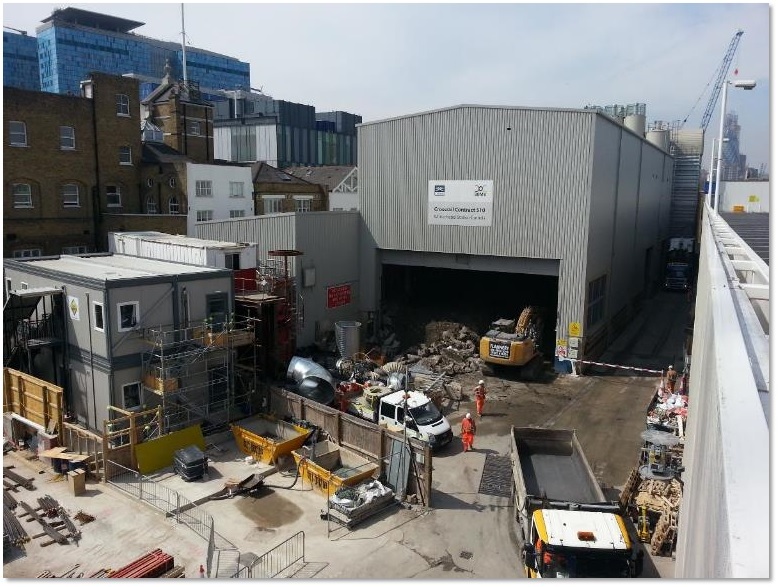 Challenges included continuing major 24/7 tunnelling and support activities in close proximity to high density residential properties 5m from the site boundary. The main tunnel access and other smaller shaft structures required careful scheduling of any invasive works in and around the shafts. To enable the tunnel spoil removal activities to continue 24/7 it was necessary to design, specify and test massive acoustic enclosures with closable acoustic doors and associated silenced tunnel ventilation systems to fit around the mucking area and spoil transfer area, and ensure the neighbouring concrete batching plant was also highly sound insulated. Together with monitoring equipment suppliers, the consultants deployed web-based noise monitors on this project with innovative, real-time capabilities and audio capture used to distinguish construction noise from other sources and from other neighbouring contractors. The judges were impressed by the level of mitigation from existing and novel solutions. They recognised the efforts made through the development of empirical correction factors rather than relying on generic figures to predict vibration activities. From the outset, there had been acceptance of the need to address noise issues and this was demonstrated through collaboration with other stakeholders.